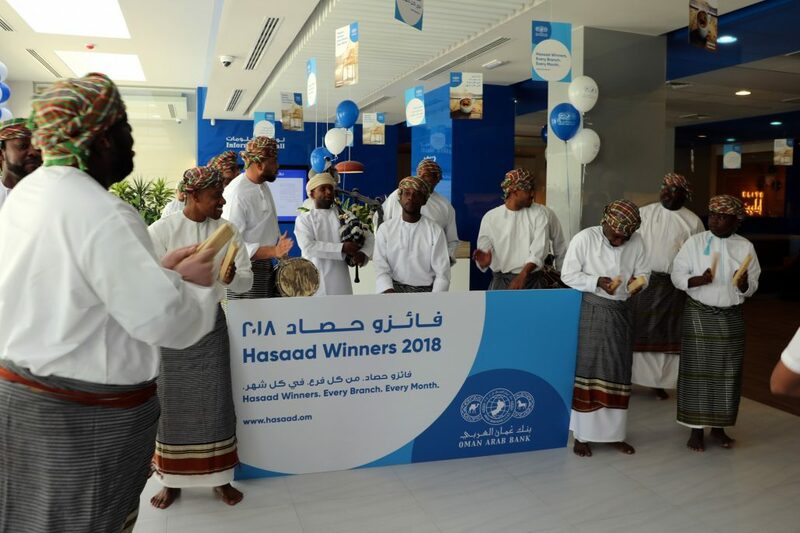 Muscat, April 24, 2018: Oman Arab Bank (OAB) recently conducted its Hasaad draw event for the month of April, at its Sur branch. The draw saw 83 winners from across the Bank’s branch network received OMR 500 each, together with one winner of OMR 20,000 as part of the Monthly Elite Draw, and another of OMR 20,000 for the Regional Draw – Dakhliya. The event was attended by members of staff and management from the Sur branch and the Bank’s VIP customers from the region. Hasaad Savings Scheme in its current edition offers the Bank’s clients across all regions and branches a chance to win one of several valuable prizes on a monthly basis. These prizes come as part of the Bank’s monthly draws, alternating between OMR 1,000 and OMR 500 per winner every month, across all branches. Regional Prize Draws, which will see one winner of OMR 20,000, conducted once every two months over the course of the year. The Hasaad Savings Scheme will also include 12 dedicated prize draws for Elite account holders with one winner of OMR 50,000 every quarter and one winner of OMR 20,000 for every month in between. “On behalf of OAB I would like to congratulate each of the 85 winners of the April Hasaad Savings Scheme draw. There are still hundreds of prizes left to be won before the 2018 Scheme ends with the Year-end December draw. As such, I would also like to encourage all our customers to continue savings to maximise their chances of winning,” added Rashad.